Activated charcoal can actually be great for hair and skin. Activated charcoal is also used in air filtration system. It can help you get rid of your oily skin. It has the ability to pull out the oil, dirt and all the toxins from your hair as well. Who would have thought that charcoal can actually be great for hair and skin? Yes, you just read right. Charcoal surely has its own set of health and beauty benefits. We are here talking about activated charcoal that is used in air filtration system andmedical emergencies for poisoning, whereas the food grade activated charcoal can be used to detox, as well to whiten teeth. And now you can use activated charcoal for skin and hair. Yes, you must be aware of activated charcoal beauty benefits that it can purify your hair and skin. Indeed you can just rub activated charcoal on your face. Adding this procedure to your beauty routine can bestow you with great results. Activated charcoal has the ability to soak the toxins, yes, toxins stick to it, turning it into an excellent deep detoxifier and skin cleanser. It has no chemicals in it and acts as a natural detoxifier for your skin and hair. 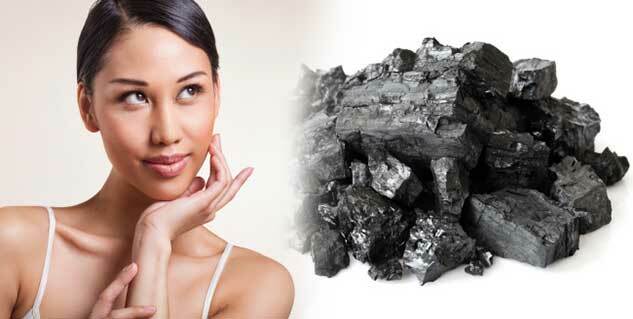 Here are some activated charcoal beauty benefits for your hair and skin. Activated charcoal can help you get rid of your oily skin with its deep cleansing property. A deep cleansing mask made of activated charcoal can help you remove excess oil from your skin. Do not use it, if you have a dry skin, it may make your already dry skin drier. If your acne is at growing stage, you can wash your face with charcoal, letting it wash out toxins, hidden deep under your skin. You need to use it as a face wash, gently exfoliating your skin with it. However, do not use it if your acne is at a severe stage. You can actually use it as a spot treatment; don’t wash the entire face just make a mini mask for your blemish. Even your regular shampoos cannot clean your hair the way activated charcoal can. It has the ability to pull out the oil, dirt and all the toxins from your hair as well, leaving you with a clean head. You can just add a teaspoon of activated charcoal to your regular shampoo and use it.